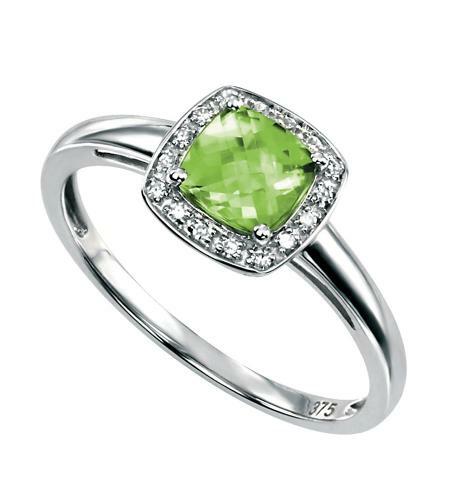 With a pave diamond surround this white gold and peridot ring is a truly eyecatching piece. Featuring a highly polished finish it will add some shine and sparkle to any outfit. Perfect for occasional use or everyday wear it really is a stunning piece.